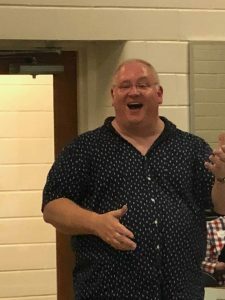 After reviewing many external candidates the board of the Capital City Men’s Chorus has selected it’s own Assistant Artistic Director, Mr. Bob Wolff, to guide the organization as we search for a new permanent Artistic Director. Two significant highlights of Bob’s tenure with the CCMC is that he occupied our podium for both the Season 20 and Season 25 anniversary spring concerts. It is only fitting that we entrust him with the baton for the beginning of our 30th season. Professionally, Mr. Wolff has a B.S. in Music Therapy, is a certified special education teacher, and has worked for 30 years as a Registered Board Certified Music Therapist. Recently retired after 23 years with Austin ISD, Mr. Wolff is expanding his private music therapy practice. As the CCMC continues its search for the right artistic director to lead us into our next 30 years, our fall performances will be more than ably led by this man who is thoroughly committed to the mission and values of the CCMC and to its artistic excellence.